A quick, hassle-free way to stay on top of robotics news , our robotics digest is released on the first Monday of every month. Sign up to get it in your inbox. The biggest robotics story of November came on the 12th when Rosetta’s Philae space probe touched down on the comet 67P/Churyumov-Gerasimenko – the first time that­­ a manmade spacecraft has ever landed on a comet. 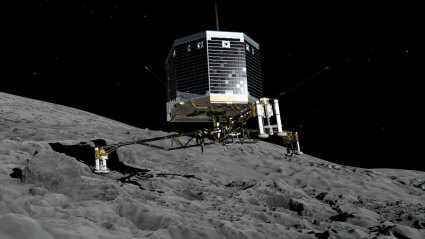 A project of the European Space Agency, the mission is primarily scientific, and serves as a proof of concept that landing on a comet is, in fact, achievable. Given that 67P/Churyumov-Gerasimenko was far more difficult to reach than most asteroids would be, for those in the commercial space industry the feat also represents an important step toward a future where mining precious metals and rare materials from space is feasible, and perhaps even profitable. Flying a little closer to earth, drones (and specifically, they regulation) continued to make the news this month. In the US, the FAA announced on November 5th that they would be set to publish new rules before the end of 2014 that “will open the door to a lot of commercial applications that aren’t authorized today,” according to Jim Williams, who manages the FAA’s UAS integration office. Two weeks later, the National Transportation Safety Board found that unmanned aircraft (including drones) fall under the jurisdiction and rules of the FAA, overturning the Pirker case in which a judge had previously found that FAA rules did not apply to model aircraft. In response, the Small UAV Coalition urged the FAA to not get distracted by this latest ruling, and warned that the new draft rules “will not address the realities of today’s UAV technology, such as varying degrees of autonomy and the ability to perform operations beyond line of sight,” and are “costing US competitiveness in the global market place.” Meanwhile, the Brookings Institute published a 34-page report on drones and aerial surveillance this month, outlining the specific considerations legislators should take into account when making drone laws. Elsewhere, incremental change was afoot. In Australia, the Civil Aviation Safety Authority proposed a new class of “low-risk” aircraft that would require no special certification and would include any remotely piloted aircraft under 2kg. Canada similarly announced a new regulation exempting commercial and hobby users of UAVs weighing less than 2kg from the Special Flight Operations Certificate. 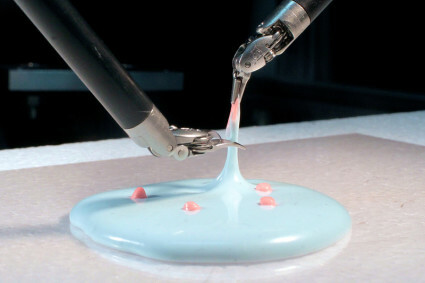 Advances were reported this month in robotic surgery: researchers from UC Berkley’s Center for Automation and Learning for Medical Robotics released a video showing that repetitive surgical tasks like suturing, cutting and debridement of deformable tissue can be automated; and Aeon Scientific won a Swiss Technology Award in the startup category with Phocus, its magnetically-guided robotic surgical system. Strides have also been made in the rehab sector. The Robot-Aided Gait Training and the ARMin neuro-rehabilitation device were designed to help patients who have lost full use of their arms or legs. And in Japan, the Muscle Suit just came to market, designed to prevent injury in those who regularly have to lift heavy loads, such as nurses, factory workers and farmers. Be it for research or commerce, governments around the world are looking to give a boost to robotics. The fourth annual EU Robotics Week, which ran this month, showed off what European robotics is all about. 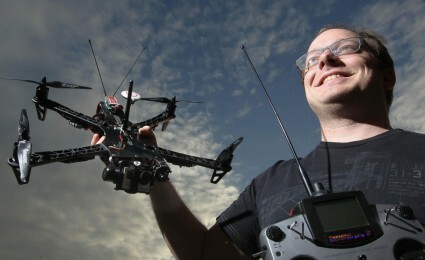 In the UK, Imperial College London is set to build a £1.25 million state-of-the-art drone lab. 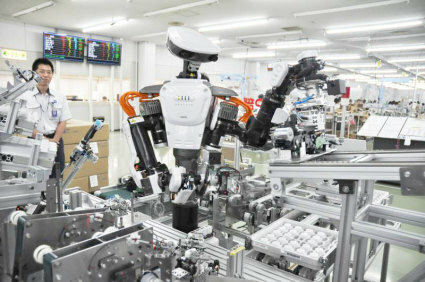 Japan is planning to boost investment in order to triple its robotics market to $22 billion by 2020, and sees deregulation as key to ensure that the country remains competitive in the global marketplace. 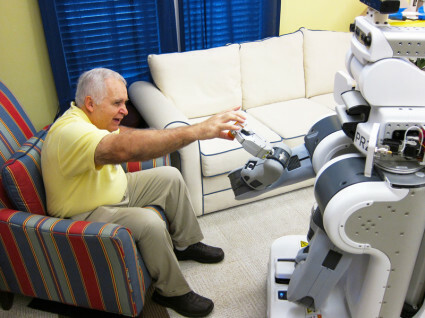 And in the US, the National Science Foundation and partners just announced a $31.5 million investment in co-robots, robots that work cooperatively with people, including those for eldercare, surgery and disaster relief. While the NSF hopes its recent investment will help bring more robots into people’s workplaces and homes, co-robots (or cobots) are already a common sight in some places. At Carnegie Mellon University in the US, a group of co-robots has been navigating the university’s halls and corridors since 2011, guiding visitors and running errands. On the 18th of November, the combined distance travelled by the three co-robots involved in the project reached 1000km of autonomous operation, an exciting achievement for PI Manuela Veloso. You can learn more about this research in an interview with two of Veloso’s PhD students. 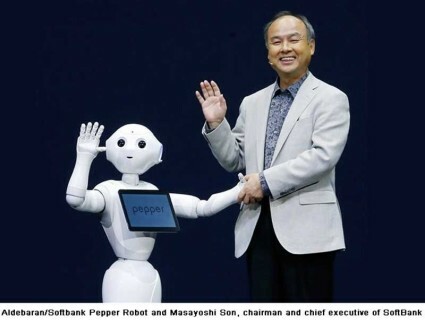 And in case you thought co-robots were only to be found in research labs, food and drinks giant Nestle announced that it will use Softbank’s Pepper the robot to sell Nescafé products, and diners at a café in Ningbo, China are now being served by robot waiters. 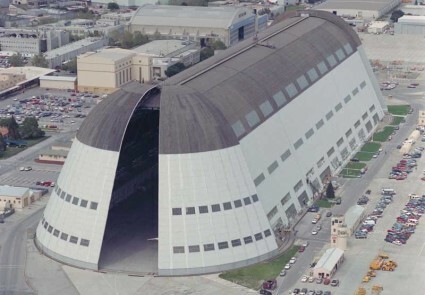 Google subsidiary Planetary Ventures has committed to a 60-year $1.16 billion lease of the 1,000 acre Moffett Field Naval Air Station. November was a good month for robotics business, with a range of deals, collaborations and investments. One of the biggest news items was Google’s new lease on NASA’s Silicon Valley airfield, which the company plans to use for research and testing of technologies, including robotics, aviation and space. Google committed $1.16 billion for the 60 year lease and will even spend money on refurbishing the site, with $200 million earmarked for improving the facilities. Investment news includes ABB Technology Ventures’ $12million contribution to AI start-up Vicarious’ fundraising campaign, and the new ROBO-STOX® for EU investors, which opened at the London Stock Exchange on the 27th of November. The stock specifically offers investment opportunities that are compliant with the European UCITS requirements. With all new developments, it’s no wonder that the latest report from the Boston Consulting Group (BSG) predicts a 10.4% Compounded Annual Growth Rate (CAGR) in the robotics sector. While the fastest growing market according to BSG is likely to be personal robotics, other markets are also up and coming; agricultural robotics is an area that is often overlooked, yet may benefit substantially from robotic solutions. To keep track of it all, trade show organizer MecklerMedia is launching a new three-day, two-track workshop, seminar and exhibition on most verticals in robotics (other than heavy industry, military and space) to be held May 11-13 at the Jacob Javits Center in New York City. 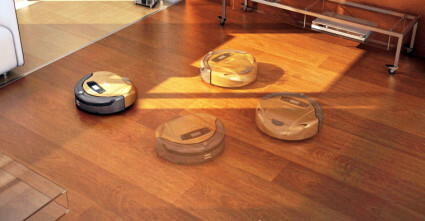 On Singles Day, Ecovacs sold $24.8 million worth of robotic products, mostly their robotic vacuum cleaners. As if to prove BSG’s prediction that personal robotics will be the fastest growing market, the personal robotics market experienced an unexpected boost this month in China. The 11th of November is “Singles Day” in the country, a made-up online shopping holiday for singles and young people. On this one day, more than 70,000 robot vacuums were sold (mostly online). The exact connection between Singles Day and robovacuums is anyone’s guess, but the global upward trend in robovacuum sales is set to continue with new releases by Dyson and Samsung, and Sharp, which is releasing a premium model of their COCOROBO series called COCOROBO Imouto (“little sister”), which will be available for a limited time only. 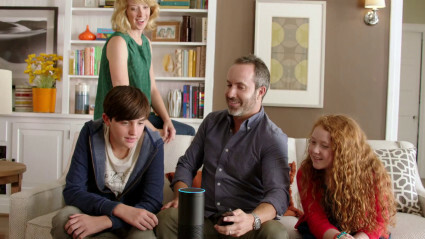 Would you invite a device that is always listening into your home? Vacuums aside, the personal robotics market has a broad variety of autonomous devices to offer, from lawn mowers and pool cleaners to rocking baby chairs. Taking it one step further is the idea of smart homes with features such as remotely controlled heating, blinds and security cameras. Despite the convenience, inviting such technologies into your home can change the way your home feels – and the way you live. Robohub readers had their say in a poll about smart homes in November, with the majority indicating that it’s all about comfort. On the subject of comfort and convenience, in the past we’ve discussed the potential of robots to enable the elderly to live independently in the comfort of their own homes for longer. This month was no exception: Nate the robot took on eldercare with a sense of humour, our readers confirmed that they were optimistic about the role of robots as care assistants for seniors in our reader poll, and our podcast team explored an RFID system that allows robots to precisely locate and identify tagged objects. This could be used, for example, to help a robot find a bottle of medication in a cupboard – and make sure it’s the correct medication – before bringing it to a person. 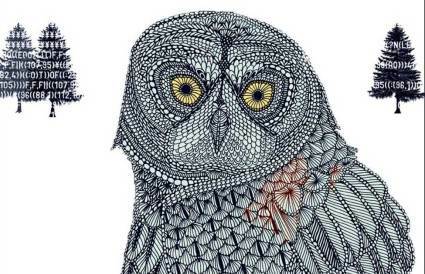 Nick Bostrom’s new book “Superintelligence” was released this fall. While being able to move around and map an environment is a pretty nifty trick, improving the intelligence of robots is still a hotly debated topic. Following Elon Musk’s and Stephen Hawking’s public remarks earlier this year about the potential dangers of AI, there has been a flurry of mainstream debate about where AI is headed and what we should be doing about it. Kurt Andersen of Vanity Fair wrote that “AI is suddenly everywhere” and the New York Times columnist John Markoff wrote about “bombs that can pick whom to kill”, while David Crookes of the Independent argued that now is the time to get involved in AI, which in his opinion is one of the most exciting areas of the field of robotics. Released this fall, Nick Bostrom’s book “Superintelligence” takes a critical look at the future of artificial intelligence and what it may mean for humanity. Rodney Brooks also took up the debate, concluding that it is a tool, not a threat. A new action/sci-fi thriller by Neill Blomkamp (District 9, Elysium) is due in theatres March 6, 2015. 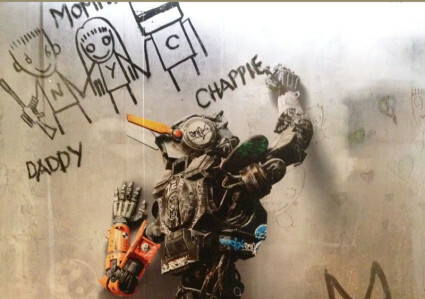 Soon to be on the silver screen are two movies that explore both the dark and light sides of AI: “Chappie”, a new action/sci-fi thriller by Neill Blomkamp, and “Ex Machina,” which has a distinctly darker tone. Both films are set for release this spring. If you can’t wait until then, try “Robots, Botox and Google Glass” – a lively short documentary about the uncanny valley by Ken Goldberg and Tiffany Shlain – or the new Disney release of “Big Hero 6”, whose main supporting character is a big soft inflatable robot called Baymax. If all this talk about robots and movies has inspired you, then check out our call for holiday robot videos. You’re officially invited to make your short movie about robots to get you in the holiday spirit! 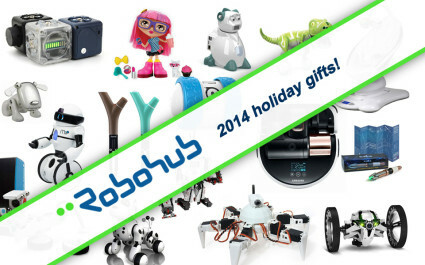 And if you are not feeling festive enough yet, Robohub has created a list of holiday gift ideas for the robogeek in your life. Keep an eye out also for our holiday reading and movie list, coming soon.